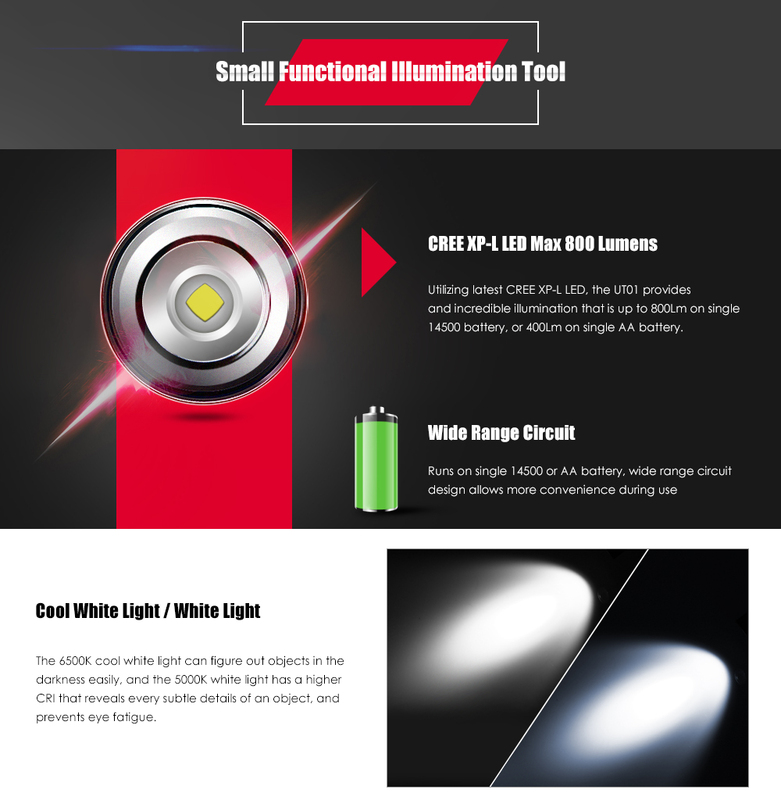 Utilizing latest CREE XP-L LED, the UT01 provides an incredible illumination that is up to 800Lm on single 14500 battery, is also compatible with AA battery. Side switch offers one-handed operation and allows you to select from 4 constant outputs with ease. 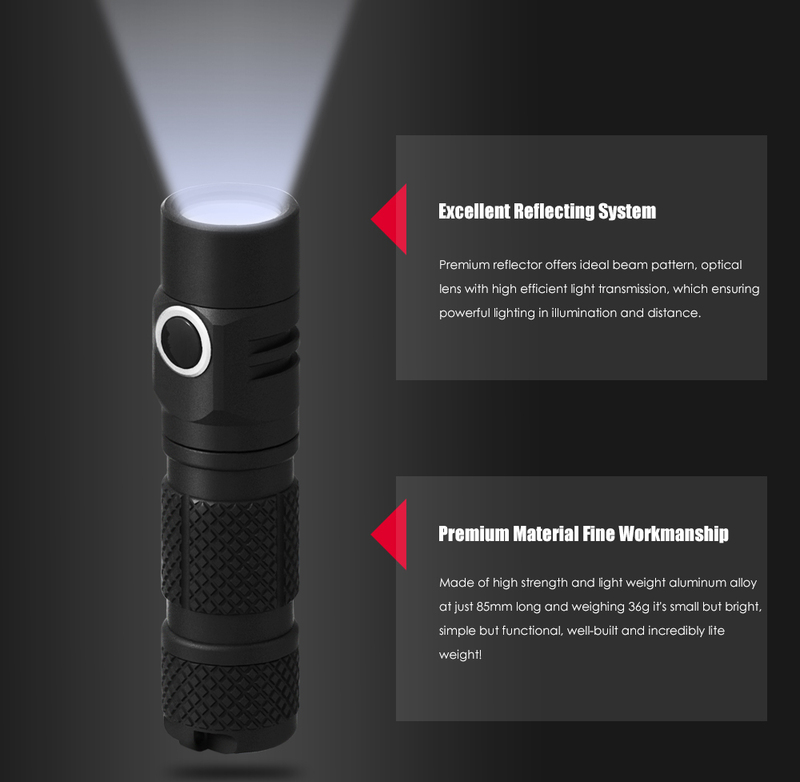 Precision reflecting system ensures powerful lighting in illumination and distance. 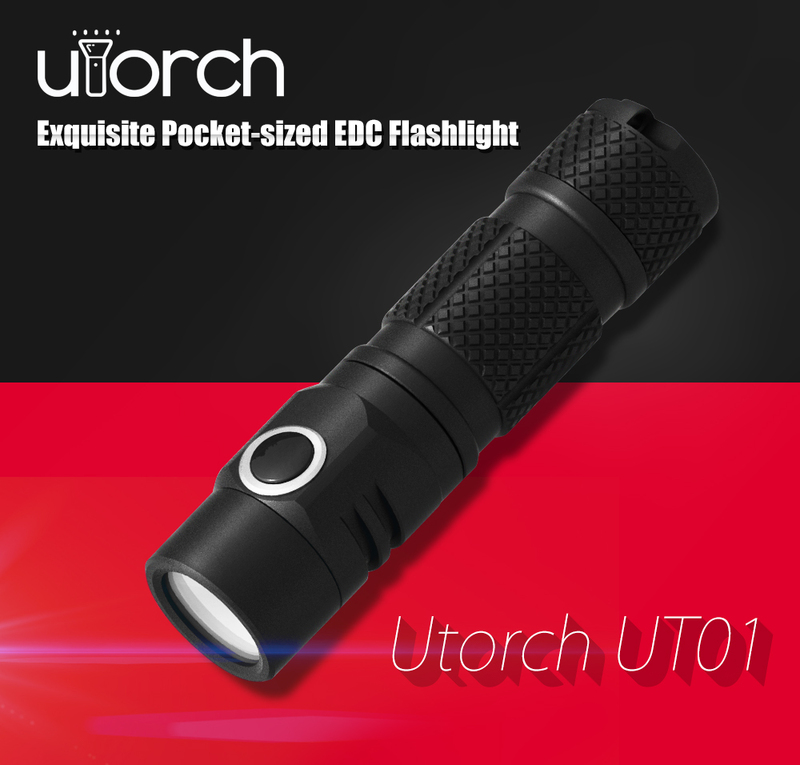 it’s small but bright, simple but functional, well-built and incredibly lite weight! Comment if you like to be part of the groupbuy . Groupbuy price is 16.99$ . Groupbuy will be closed 15th of December , that time coupon will be sent and stock will be available COUPON NOW AVAILABLE . Neutral White if we need to specify. I`m interested in one NW. Does it come with a pocket clip? If so, is it deep carry? I will be reviewing the light soon . I`m interested in one, maybe two in NW. From that comment by Manker, I assume these are “reverse engineered copies” or something. They do look just like E11’s. Suppose we will find out if they are “bad” copies, or “good” copies when giorgoskok gets one to review. Put me down for 1 NW. I want to compare this to the E11. Looks interesting, would need to see a review first. Really 400lm with AA cells? 1 in NW for me please. John 1:5 "The Light shines in the darkness, and the darkness did not comprehend it." I’d like one in NW. List updated , thanks . Tentatively add me for one (NW) pending the review. Maybe this version has quality control! I`m interested in one, Neutral White. In my opinion, we should support original designers by NOT supporting blatant copycats. Interested in a CW version. Thanks. 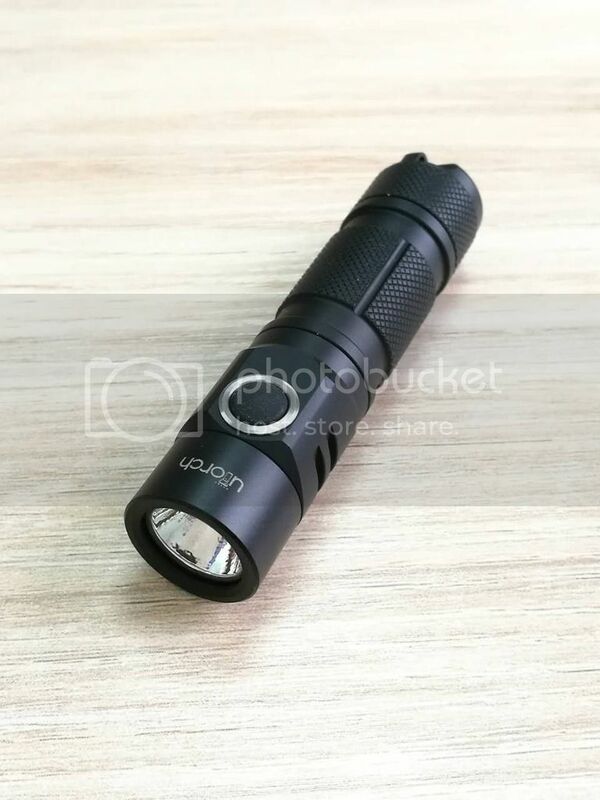 Like we did with the Astrolux “copies” of other Manker lights?